1990-1994,Bachelor’s degree of Engineering, School of Electronic and Information Engineering, Northern Jiaotong University, Beijing, China. 2004-2007, Master’s degree of Engineering, School of Electronic and Information Engineering, BeiJing Jiaotong University, Beijing, China. Railway signal school (Volume oneon). Automatic control of shunting marshalling station. RThe railway signal control system. Received the title of outstanding teachers of Northern Jiaotong University. Railway signal study (The main author written). Traffic signal and control (Participated). University teaching reform project involved 1:Automation (signal) on training mode of professional characteristic railway industry personnel. EParticipate in the completion of excellent engineer education and training scheme—National Engineering Practice Education Center Construction Project, participated..
EParticipate in the completion of excellent engineer education and training scheme—National campus practice education center construction project, participated. Construction scheme of tComplete technical position adimittance ofequipment system train control system & signal equipment of High-speed Railway full-time admittance, the train control High-speed Rail signal equipment full-time technical qualification admittance system construction scheme. Directed theMore than 50 undergraduate graduation design of more than 50 undergraduatesguidance. EThe establishedhment of 6 undergraduate internship bases. Intership advisor for With the practice of 15 classes. Directed independentlyCulture independent 4 Postgraduates. Huang Zanwu,Wei Xueye,Li ShaoBin. The technical structure of track circuit failure prediction and health management,Computer engineering and Application ,2012-10,38(20), 232:235. Li Shaobin,Man Zhongtian; Fu Wenxiu; Wangxing Min; Liu Yuting.Construction and Stress Analysis of 3D Finite Element Model of Human Lumbar ,2011 IEEE 3rd International Conference on Signal Processing Systems ,Yantai,2011-08. Yang Shiwu, Huang Zanwu, Bi Hongjun, Wang Haifeng, Li Shaobin, Wang Guodong, Chen Song。Anti interference technology of railway signal.Beijing Jiaotong University press,ISBN number: 978-7-5121-1196-7, Beijing, 2012-10. Tan Yan, Cao Yu, Mo Zhisong, Jiang Xiyi, Li Kai, Cai Bogen, Wang Junfeng, LiKaicheng, Li Shaobin, Dai Sheng Hua, Fu Wenxiu, Yang Shiwu, Huang Zanwu, Yi Fazhen, Zhou Yonghua, Zhang San Tong, Chen Yongjun, Wang Jian, Pan Ji Jun, Jiang Ming, Yu Zhiyang, Miao yu. Signal system for high speed railway, China Railway Publishing House, ISBN No. 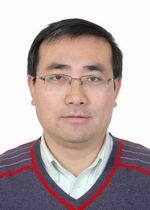 : 978-7-113-17479-8, Beijing, 2013-11. In 2012 won the two prize of personnel training award of School of Eelectronic and Iinformation Eengineering college to cultivate talents, 2012..